Two more film directors die and I raise my ugly blog-head like the grim reaper. However, in light of last week’s local events it seemed trivial to eulogize two directors. As a result this post comes almost a week after the passing of Ingmar Bergman and Michelangelo Antonioni, (which is, at this point, not news) but only five days after the shocking collapse of the 35W bridge. Like most people that live in the area, I have spent those last five days trying to wrap my head around the bizarre accident and the surreal photos and testimonials. Understanding the full impact of the bridge collapse will take some time. Understanding the death of two elderly film directors is ultimately easier. Both Ingmar Bergman and Michelangelo Antonioni died on Monday, July 30, 2007. Bergman was 89 and Antonioni was 94. Both worked in their later years, but that is where the similarities stop with these two. Ingmar Bergman was possibly one of the most iconic film directors, with his cool Norse intellectualism and preternatural staid symbolism and allegory. 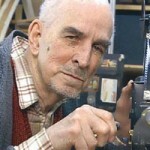 Bergman made over forty feature films and over a dozen television productions. Bergman himself admitted that most of his work was autobiographical, drawing upon his own experiences as the son of Lutheran minister. I’m not even going to pretend to understand the impact of his films at the time. Bergman exists to me in the form of VHS tapes, repertory screenings and Criterion Collections. His films have a rare amount of artfulness and unrelenting honesty that make them difficult, even now (or maybe even more so now.) He spent the last ten years of his life living and working in his home on Frö Island in Sweden. An inexhaustible amount of information can be found on the Ingmar Bergman website published by the Ingmar Bergman Foundation. I can just imagine film students of the Sixties and Seventies falling into the Bergman camp or the Antonioni camp of film appreciation. Whether or not there is any truth in that, I have no idea, but these filmmakers could not be farther apart in style. If Bergman’s films were grounded in faith (even though he had proclaimed to had lost his), Michelangelo Antonioni’s were grounded in the lack of faith. More than anyone, Antonioni charted the territory of the arthouse film where “nothing happens.” The majority of his thirty-some films remain shamelessly unavailable in the US, but if there is one thing I have learned from purchasing a bootlegged version his 1970 documentary about China (Chung Kuo), Antonioni was not afraid to try new things. Antonioni had an inquisitiveness about the world and the human condition and this translated into his art. Life’s ambiguity was a stage for Antonioni’s visual poetics. Antonioni suffered a stroke in 1985 that left him partially paralyzed, and limited his work. 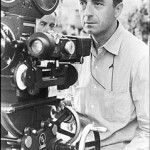 A very thorough biography on Michelangelo Antonioni can be found here on Senses of Cinema. One can’t help but wonder what these two men would have thought about a shared date of death. They were contemporaries who would have been unable to ignore each other work. Dan Zak’s article in the Sunday Washington Post looks at where the two director’s paths did and didn’t cross. It is ironic that we are plucking quotes like this out: “Antonioni was suffocated by his own tedium, Bergman wrote in his autobiography.” and “Bergman was solely concerned with the question of God, Antonioni told the London Telegraph, whereas he himself was uninterested in unraveling spiritual mystery.” (from the Post article.) Their thoughts about each other will forever be joined together by fate, or, as Antonioni might have seen it, plain old ordinary chance. Both will be missed, but their films live on.